Freeform’s “Shadowhunters” will end with Season 3, the network said Monday. The 12-episode second half to the final season will air in 2019 with a two-hour series finale. “We are very proud of Shadowhunters, a series that broke new ground in the genre world and became a fan favorite,” Freeform said in a statement Monday. The genre drama is produced by Constantin Film and executive produced by Todd Slavkin, Darren Swimmer, McG, Matt Hastings, Mary Viola, Martin Moszkowicz and Robert Kulzer. 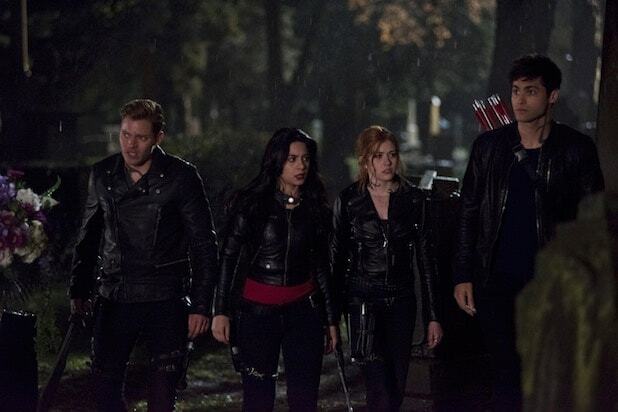 Katherine McNamara stars as Clary Fray, along with Dominic Sherwood as Jace Wayland, Alberto Rosende as Simon Lewis, Emeraude Toubia as Isabelle Lightwood, Matthew Daddario as Alec Lightwood, Isaiah Mustafa as Luke Garroway, Alisha Wainwright as Maia Roberts and Harry Shum Jr. as Magnus Bane. Katherine McNamara, "Shadowhunters" Photographed by Amy Goalen for TheWrap. Shot at Aesthesia Studios, Los Angeles.